We feel really honered that Giorgos Koutsogilas AKASamplestick, has trusted Liquidseed family with his third release, keeping up this underground tradition. 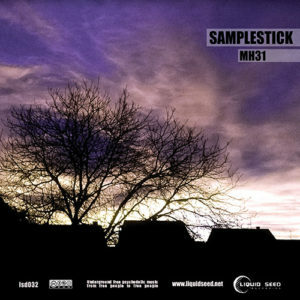 MH31 contains five midtempo progressive tunes blending technological and mystical sounds in the artist’s trademark fashion. Here we have a serious, hard-working release talking straight to the body and soul. As a label we would like to dedicate this album to friendship, respect, and acceptance… don’t forget to make your moments beautiful, our beloved! All tracks written, arranged, and produced by Giorgos Koutsogilas. Mastered by Emmanuel Lagoudakis (AKA Acid Lagos) @ Liquidseed Studios, Greece, with photography by Marta Fajfaric and final design by Angelo Zs. MP3 Download | FLAC Download | WAV Download · Download count: 14,513. Great work! Strong all the way through! Loved the “They Live” quote. Siesta just finished it with perfection..
Fantastic…really really good music here.